As a mom of three little ones five and under I know first hand it can be hard to find extra motivation and energy to get yourself together for a night out, let alone the time or money to spend on a nice evening out including paying a babysitter. If I am truly honest with you guys, my husband and I probably get a proper date night out of the house 4-5 times a year...I know. Sad. But true. 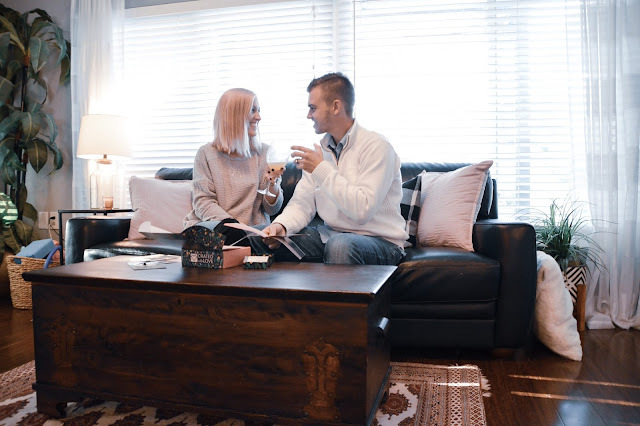 As a result of our far and few between date nights for my most recent birthday, my very sweet hubs got us this Crated with Love Date Night Subscription box. It quickly became our favorite night of the month!! A fun way for us to get quality time together not in front of a screen. Each month has a unique theme and is surrounded with the idea in mind to strengthen your relationship through fun games, DIY projects and lots of communication. 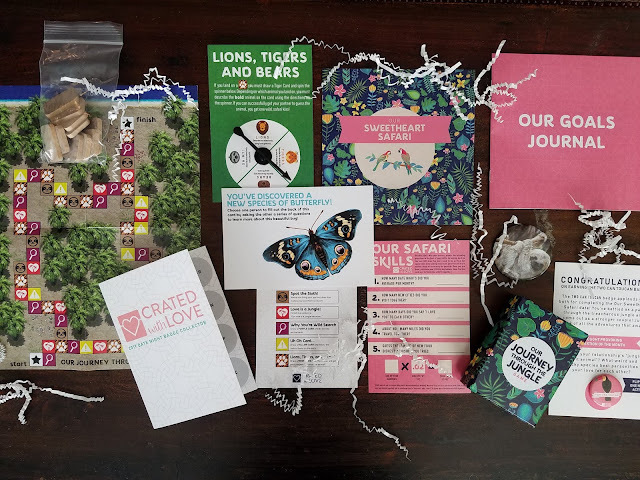 I love this subscription box!! 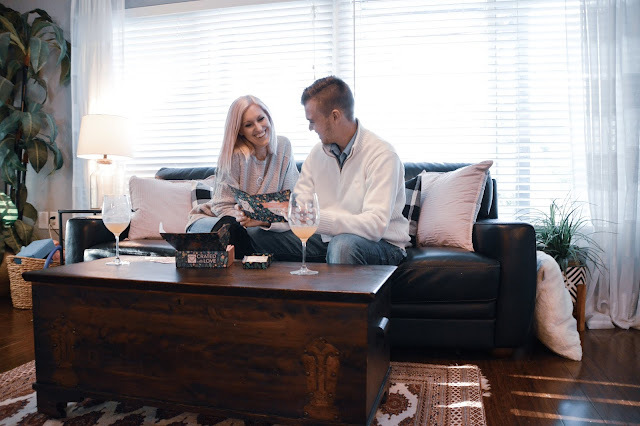 It gives us our monthly date night without having to go through the trouble of having to find a sitter or even get dressed up. Some months we do our date nights in our pajamas. And I am totally cool with that! This month was all about setting relationship goals while on a "Sweetheart Safari." We journeyed our way through the jungle, calculated our safari skills, and headed on a jungle river excursion. 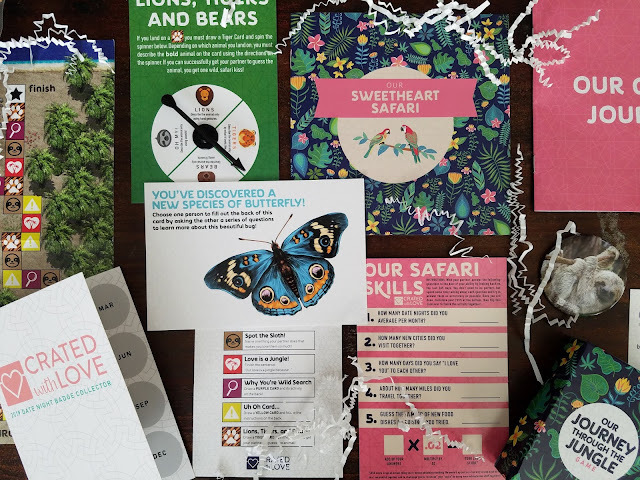 Each game, activity or task uniquely created opportunities to discuss our relationship, because well, love is a lot like a jungle. It is wild (especially if you have kids) and can be completely unpredictable, but is completely worth it when you are on the journey together. I asked my husband what his favorite part of this month's date was and he said, and I quote, "All of the smooches." Ha! Such a man. 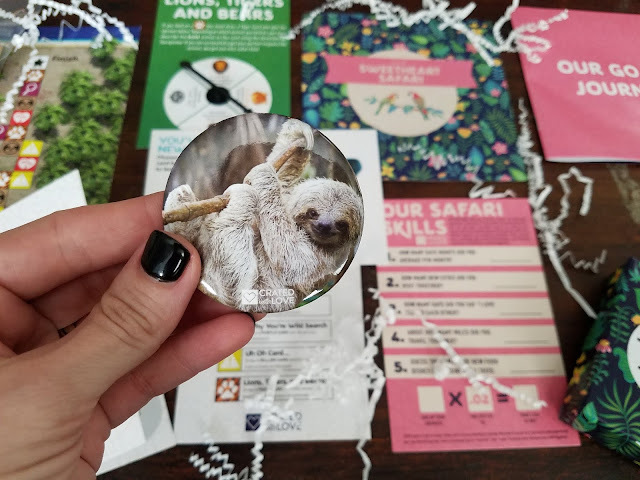 My favorite part was (and still is) the sloth button. How this works is one person hides the button and whenever the next person finds it that person has to stop whatever they are doing and come give the hider a kiss. Now it is their turn to hide the sloth. We have been having so much fun with this sloth all week and I'm pretty sure we plan to continue hiding the sloth as long as possible. Last place I hid him was in a box of tissues for my husband to find later in the day. He hid it last and I still haven't found it yet. Okay, so now for what you all have been waiting for...because I am so ecstatic about this subscription and I am a firm believer that communication is the KEY ingredient to every healthy relationship and marriage. I have partnered up with Crated with Love to give one luck couple a FREE date night box of your own! 4. all entries must be in by 9PM (EST) on January 18, 2019. Winners will be chosen January 19, 2019. I can't wait to hear what you guys think and to see you enjoy connecting, laughing and just having fun with each other. HAPPY DATING!